With the summer comes brighter weather and soon follows brighter hair… blondes get blonder and brunettes get those sun kissed highlights. This summer though there is a different kind of bright popping up, pastels! 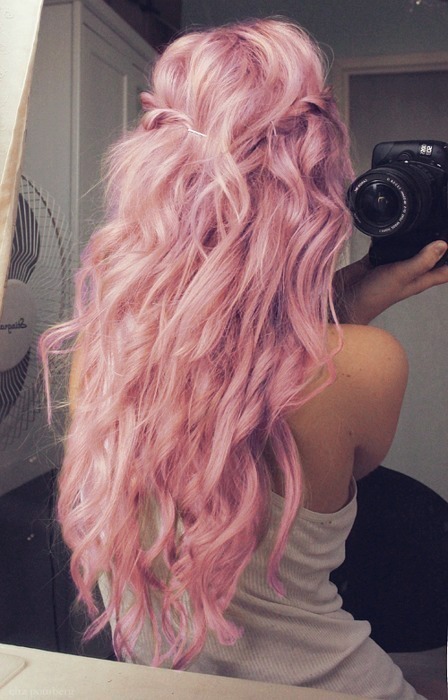 The pastel hair colors are a fun alternative to the standard summer colors. There are so many different directions to take the pastels, there is a color for everyone! From pale peaches and pinks to light blues and teals the subtle hues give a fun, flirty look for the summer. Having unusual hair color is no longer frowned upon or considered constumey. The pastels are showing up everywhere from celebs on the red carpet to girls at music festivals. The look can be classy and girly with light pinks and purples or fun and edgy with different blues and green tones. 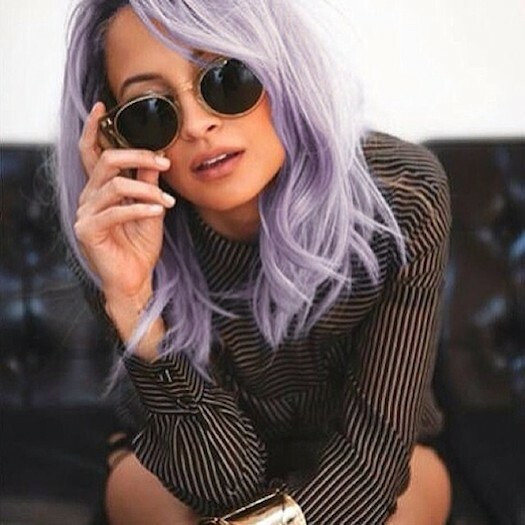 The idea of purple and blue hair might not appeal to everyone but there are many ways to do the pastel look. If your are looking for something less permanent, you can do the Hair Chalk which lasts for 2-10 washes. This works if you are wanting to try out the pale colored do or just for a fun, weekend event! If you already know you love the idea, you can do a longer lasting color that can be all over or ombred in! There is no exact way of doing the pastels so just have fun and experiment with it..the options are endless! Celebrities like Nicole Richie, Kesha and Katy Perry have all done different variations of the look and are nailing it. Nicole Richie does the all over purple colors, while Kesha goes for every color, and Katy Perry keeps it low key with the light pinks mixed in with her blonde bob. At Nicole Marie Salon we always love to have a little fun, so here is you official invite to join us for a pastel party! Stop in and put your personal touch on the pastel trend, we love to see what ideas you have!